DW: The European Union is trying to prevent migration by working with African governments on issues such as border control and border security. There’s talk about increasing deportations of migrants whose applications for asylum status have been rejected. So it’s largely a strategy of deterrence. Do you think this will work? Stephen Adaawen: Migration is a contentious issue. If you look at the approach of the EU, I think there should be a rethink. The EU seems to over-emphasize border control, migration restriction, return, re-integration and re-admission. But migration is part of human nature. People are predisposed to move, depending on the circumstances. People move for economic reasons, as a result of conflict, displacement and the like. I do not see how effective the over-emphasis on controlling migration will be in preventing people from coming to Europe. I think that migration could be a way of facilitating development if it is properly managed. Look at remittances –they play a key role for most households in Africa. Europe would also benefit from labor migration, because there are sectors of the economy with labor shortages. If they are able to harness this form of labor mobility, it could be a win-win situation. Considering current developments – with regard to population growth in Africa, issues of economic development challenges, issues of climate change and violence — I do not foresee any improvement in reducing migration without tackling the root causes. So there should be more to migration management than just restricting movement. DW: What is the view of African governments? They get a lot of pressure from Europe, but are they interested in tackling the migration issue or are they happy with the way things are? African governments are certainly not happy with the way things are. 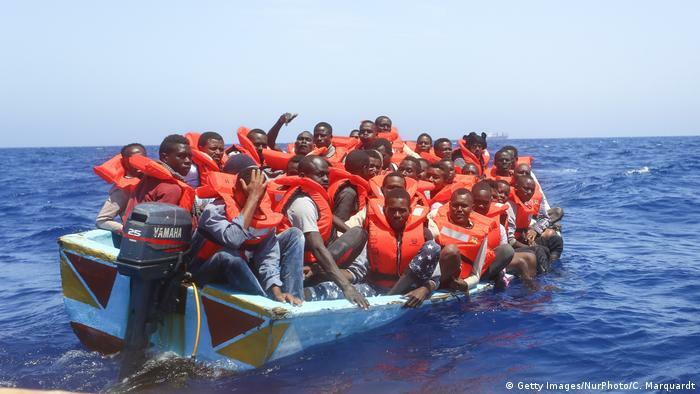 No country would like its citizens to drown in the Mediterranean or die in the Sahara desert. The African governments would also not want to condone the situation where someone risks his life and gets to Europe only to be denied access. Some people migrate because of genuine reasons. The governments also benefit from remittances from the diaspora. Not just from financial remittances, we also have people coming back with skills and knowledge. So, if governments are also benefitting from that, why would an African government be happy if a European country returns its people? The focus should be on promoting safe and orderly migration, as emphasized by the newly adopted global compact for migration. Even if we look at it in the context of the Agenda 2063, gravitation towards an integrated Africa with population mobility is a key aspect of this agenda. Labor migration is quite important and now they are putting emphasis on having a common passport. This passport will also facilitate movement within the continent. So if you are collaborating or coming up with initiatives to make migration more difficult and prevent the free movement of people, it will be counterproductive, because no government wants to go out of its way to stem migration. Most African governments also feel that Europe is not sticking to the joint partnership agreement to see African governments as equal partners and to cooperate. So some African governments feel the EU is trying to dictate them. Even the money given to African governments as inducements to control migration doesn’t amount to much. So for African governments there is a need to stem irregular migration, but there should be a focus on promoting safe and regular migration between Europe and Africa. How could that work in practical terms? By instituting flexible migration regimes. By that I mean, for example, making it easier for students to come to Europe to study, through more scholarships, more vocational training and also have labor migration partnerships, like organizing the movement of health personnel, such as nurses, for example. Ghana, for example, has many nurses and the health sector is not able to absorb all of them. There are already some cooperation programs for that which could be extended to Ghana. As a prerequisite, people who want to come and work in Germany could undertake language courses and then they could sign an agreement to come to Germany, work here, learn and help the economy. In the next 20-25 years, Germany will have a deficit of about 150,000 nurses. That is huge. The Ghanaians could also send remittances back home and they would learn new techniques and then return to Ghana after some years. If people know that if they come to Germany and go back home, why would they want to stay or undertake a dangerous journey? So a more flexible visa regime would also help. Some scholars say that if people come to Germany and get good jobs, they will remain and not return home, which would lead to a serious brain drain. What is your take on that? I think that would not be the case. People already come here and return home. There are many examples of this. We could have binding contracts which clearly say that people can come to Germany, work here for three or four years, attain the skills, but then after some years they would also have to go back home to make the program sustainable. It should be a “win-win” situation. Germany should benefit from the expertise but then after some years you have to go back to make the program sustainable. Brain drain is not really an issue here. It needs to be managed properly through contracts or bonds. And the remittances that will be sent would further improve the welfare of the families back home. Do you think that governments in Europe have reached the stage of realizing that the migration regime needs to be changed? Do you see any chance that it will change in the near future? There is gravitation towards that. The German government has come up with a new immigration law facilitating the integration of skills from professionals from third countries. For a long time, there was a perception in Germany that it was not an immigration country. But Germany is realizing increasingly that in order to remain a dominant economic force, to sustain the social security system and the work force, there is a need to bring in migrants, because the German population is ageing. In order to sustain the economy, there is a need to bring in people who will not depend on the welfare system, but will work to sustain it and provide some leverage for the aged. Like Germany, many other European countries are beginning to realize that. But it depends on how the message is brought across, because there are people who are afraid and think that foreigners are invading the country and taking over their jobs. But that is not the case. The media and also researchers need to convey the message that: “This is not the case. These are the benefits and these are the risks of migration.” If it is properly managed, it will be a win-win situation. I think it should be a holistic approach. It should not only be the home governments and it also should not be the duty of European countries or the EU. Both have to collaborate. One thing that we can realize is development cooperation. The German Corporation for International Development (GIZ) is doing a lot of work in these areas. The EU and Germany should start initiatives or programs through their development organizations for the training of African youth. Most African countries tend to focus more on academic excellence, with little or no regard for vocational training. This is an aspect that needs a rethink and I think that, through development cooperation, we could improve or find ways to revitalize the vocational training system. With funding and support, people could depend on their own skills instead of embarking on dangerous journeys. And Germany could also benefit because the labor market needs skilled migrants. 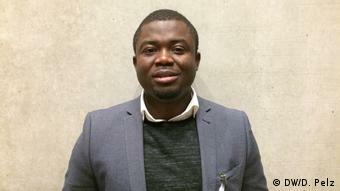 Ghanaian researcher Stephen Adaawen has a doctorate in geography from the University of Bonn. He currently works as an independent adviser to several research institutes and other organizations in Germany and Africa on the topics migration and development cooperation.